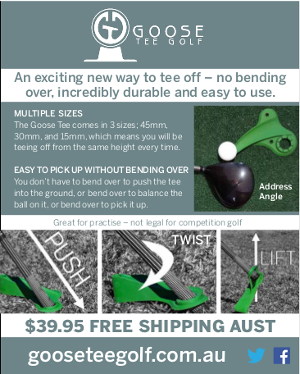 IF you’re having some problems with you short range chipping and pitching (join the club) here’s some advice from Australian PGA Professional Aaron Cox that might be timely. Aaron was the pro at Gardiners Run Golf Club in Lilydale, Victoria, when he filmed this video golf tip, before heading off to the UK earlier this year. Playing from around 40 metres out here Aaron stresses the need to use a swing action more like a putting stroke than a regular golf swing. To cut out all those thin, fat and heavy strikes, he suggests having a narrow stance with weight slightly on the lead foot, and minimising wrist and body movement – just like a putt. Check out the video.